Biological augmentation to heal a torn anterior cruciate ligament (ACL) has gained significant interest. This study examined the potential advantages of using extracellular matrix (ECM) bioscaffolds from galactosyl-α(1,3)galactose deficient pigs to heal the transected ACL. In 16 skeletally mature goats, the ACL in the right hindlimb was transected and repaired. In 9 of these animals, an ECM sheet was wrapped around the injury site and with an ECM hydrogel injected into the transected site. The remaining 7 animals were treated with suture repair only. The left hindlimb served as a sham-operated control. After 12 weeks, the healing ACL in the ECM-treated group showed an abundance of continuous neo-tissue formation, while only limited tissue growth was found after suture repair only. The cross-sectional area of the ACL from the ECM-treated group was similar to sham-operated controls (n.s.) and was 4.5 times those of the suture repair group (P < 0.05). The stiffness of the femur-ACL-tibia complexes from the ECM-treated group was 2.4 times those of the suture repair group (P < 0.05). Furthermore, these values reached 48% of the sham-operated controls (53 ± 19 N/mm and 112 ± 21 N/mm, respectively, P < 0.05). 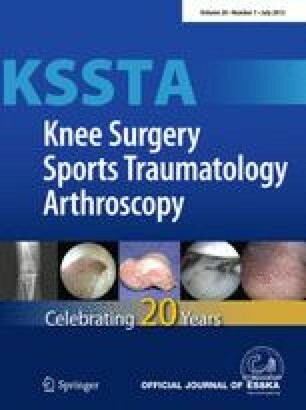 The application of an ECM bioscaffold and hydrogel was found to accelerate the healing of a transected ACL following suture repair in the goat model with limited tissue hypertrophy and improvement in some of its biomechanical properties. Although more work is necessary to fully restore the function of the normal ACL, these early results offer a potential new approach to aid ACL healing. Financial support provided by the McGowan Institute for Regenerative Medicine, Commonwealth of Pennsylvania, the National Institutes of Health (T32 EB0003392), and the National Science Foundation Engineering Research Center Grant (#0812348). The authors thank Dr. John Bianchi of Revivicor, Inc. for providing the small intestines from the GalSafe™ pigs.